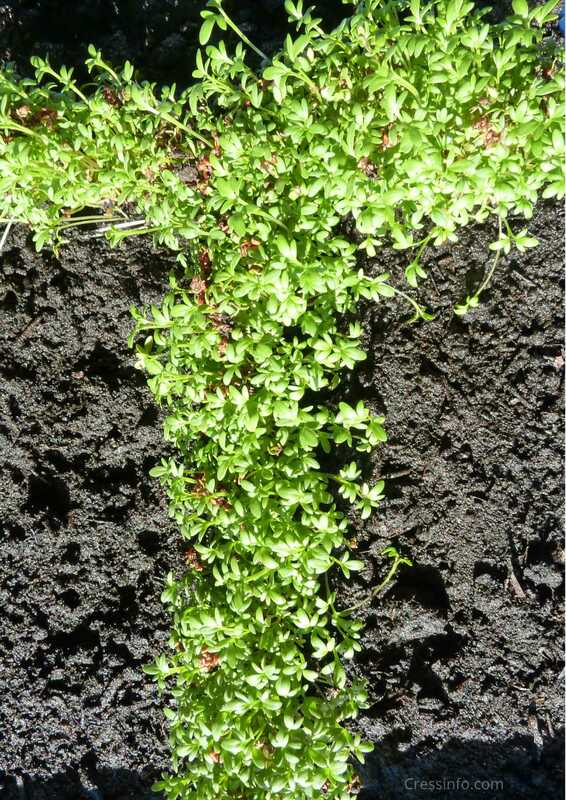 Cress is an excellent and fun vegetable to grow for a first time growing project. 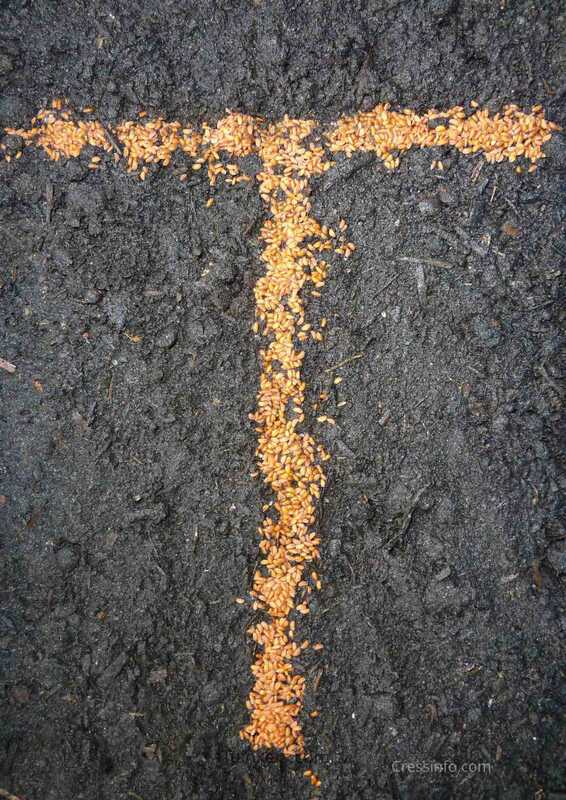 After moisturizing a bit, the seeds will usually sprout no matter what you do. 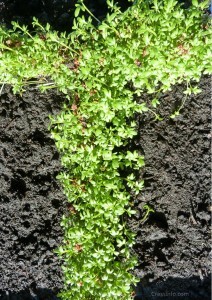 You can grow cress on nearly everything, make sure the roots have something to hold on to, like kitchen paper. Other options are: Cups, egg carton, lids. 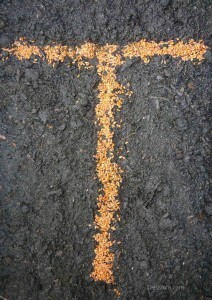 It is always fun to make figures with cress seeds. 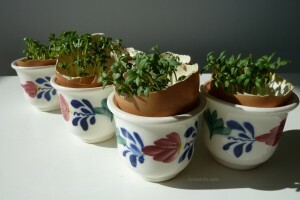 You can for example grow your own ‘initals’ with cress seeds. By setting up a project this way you will get results with maximum bonding. Another fun way to grow cress can be in empty eggshells. When you paint some eyes on the shell the cress could function like a hairpiece! Important tip: to prevent bacteria only use eggshells from boiled eggs.